DOWN IN FLAMES, No Pasaran! This will be my campaign page for a proposed Down In Flames game set during the Spanish Civil War. 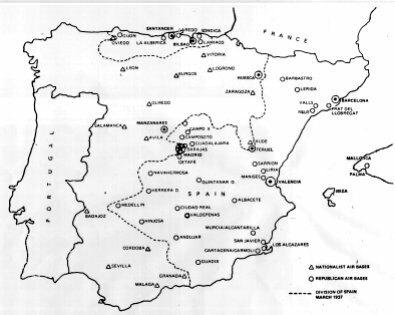 Included will be all the card templates, targets and campaign maps to make a campaign happen for the Spanish Civil War. Enjoy! 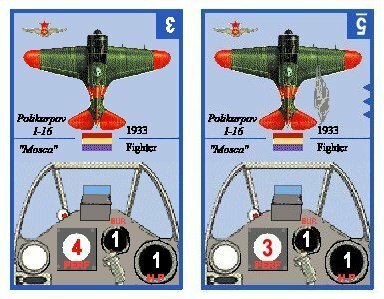 Right now, all I have is a template for the Polikarpov I-16 "Mosca", one of the main aircraft used by the Republican forces. The Polikarpov was a very succesful Soviet fighter introduced relatively early in the war. I've given the "Mosca" as it was nicknamed, a performance rating of 4 (normal) and 3 (damaged), with a burst rating of 1. This seems to fit. Here is a wacky little craft, the AVRO TIPO 620 /CIERVA C.19 ( 1 ). This should be considered a one of a kind craft, so no wingman card goes with it. Basically, the Cierva was dragooned from a civilian and used for recon purposes. I include it just for fun! The real-life item was unarmed and quite fragile. It did survive the war, however. And probably anything else I can get my hands on, with access to the proper overhead view drawings of the aircraft.